Our Mission: Toronto City Opera will grow the art of opera. It will facilitate this by training young and/or inexperienced singers through an intense regimen of coaching in musicianship, stagecraft and performance. Toronto City Opera will engage the opera-loving amateur through the training of a non-auditioned chorus and by creating diverse opportunities for volunteers while mounting the operas. 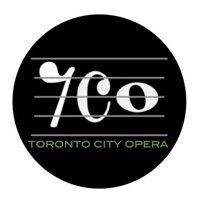 Toronto City Opera will usually mount productions of the core Italian and French repertoire. Toronto City Opera will grow the audience for opera by committing itself to low ticket prices, informal presentations, projected interpretive titles, and free performances for students who come in a group with a teacher.